I love what exfoliating your face accomplishes! What I don't love is all those nasty chemicals that come in those drugstore facial exfoliates. Since I started to slowly change my facial products to all natural ones, I've tried many all natural facial scrubs that in all honesty, have given me better results than expensive one's in the drugstore or department store. 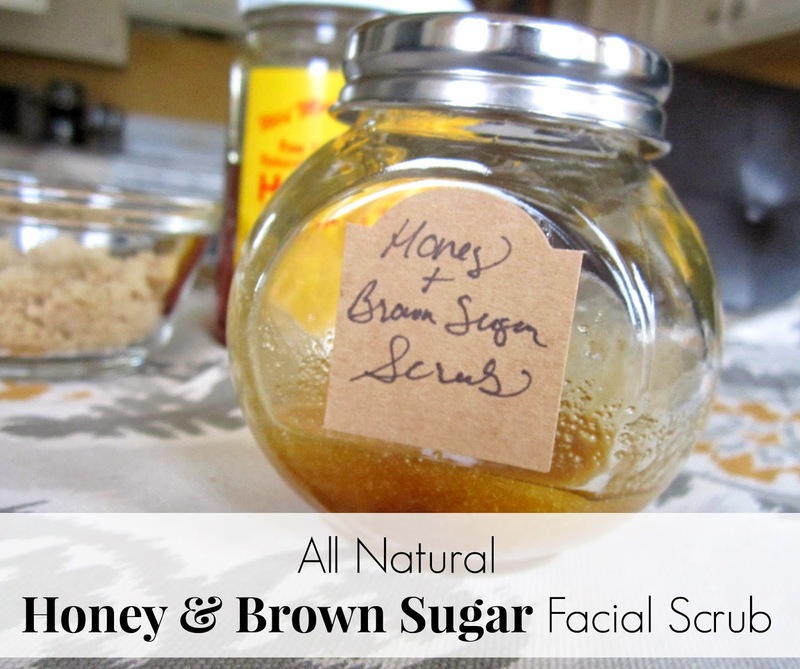 This Honey & Brown Sugar Facial Scrub is my newest favorite that I just can't get enough. Although, I do contain myself because I know the rule against exfoliating the skin off your face! Today, I'm sharing over on VMG206, how you can easily make this Honey & Brown Sugar Facial Scrub and I would love for you to stop by! You can also check out my Oatmeal Face Wash/Exfoliate! Mmmmm, this looks yummy and delectable on my face or hands! Thanks Selene! Great idea, using it on the hands!! I'll have to check this out! I still remember how well that lip scrub worked that you told us about. I still use that to this day! Thanks for the tips! I'm sure you'll love this one as well, Lisa! Great idea! I'm going to have to try this, especially after the harsh winter we've had. My face needs a good exfoliation. Glad to hear you will try it, Sami!!! Thanks for stopping by! This looks great, would make a lovely gift for someone. Thanks Maria!!! I know any gal would love it as a gift! !